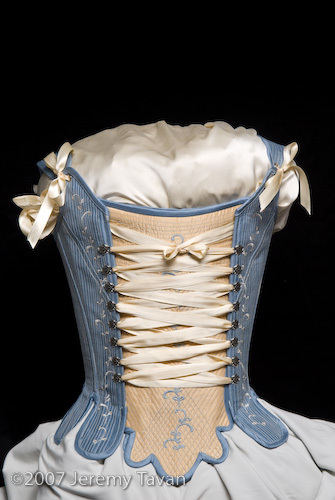 Just a teaser shot of the finished corset. My pillow just doens’t fill her out right! Maybe a full fledged photo shoot will ensue tomorrow if I get some good shut-eye. New project might be required namely dummies for displaying corsetry.